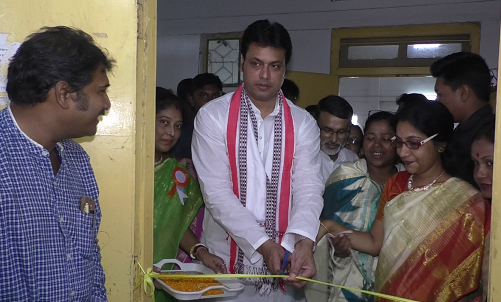 Tripura is likely to reserve teachers’ posts for women. This was hinted by Tripura Chief Minister Biplab Kumar Deb here on Sunday. MLA Asisk Kumar Saha, BJP State general secretary Pratima Bhowmik and other leaders were also present in the blood donation camp organized on the occasion of the National Doctors’ Day.